Already a member click here to view all 74 results. 2nd floor flat. Good sized rooms. 1 bedroom, bathroom with bath, large lounge, double glazing, central heating, communal garden, parking, close to local shops, doctors surgeries, train station and many other local amenities. This property is a semi detached house. It is located in Welwyn Garden City in hertfordshire and has 2 bedrooms. This property has a garden, loft storage This property has a driveway for parking vehicles and it also has parking outside. This property is a flat. 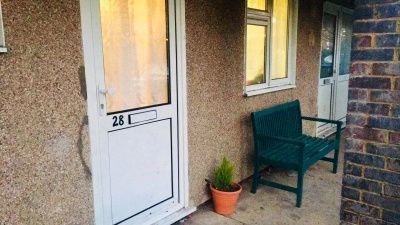 It is located in Paisley in renfrewshire and has 2 bedrooms. , loft storage This property has a driveway for parking vehicles and it also has parking outside. This property is a bungalow. It is located in Hatfield in hertfordshire and has 2 bedrooms. This property has a garden, loft storage and it also has parking outside. This property is a semi detached house. It is located in Welwyn Garden City in hertfordshire and has 3 bedrooms. This property has a garden, loft storage and it also has parking outside. This property is a maisonette. It is located in Lower Clapton in hackney-greater-london and has 4 bedrooms. This property has a garden, loft storage and it also has parking outside. Lovely purpose built flat with large car park. New carpets throughout. Decent sized kitchen. Large bedroom. Quiet area 5 mins to town centre and station. This property is a semi detached house. It is located in Corby in northamptonshire and has 3 bedrooms. This property has a garden, loft storage This property has a driveway for parking vehicles and it also has parking outside. This property is a terraced house. It is located in Welwyn Garden City in hertfordshire and has 3 bedrooms. This property has a garden, loft storage and it also has parking outside. This property is a flat. 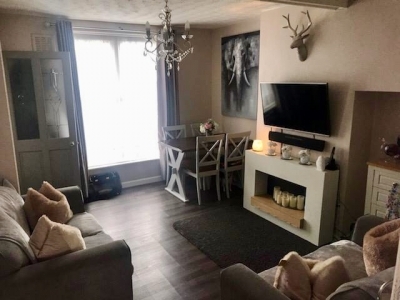 It is located in Pitsea in essex and has 1 bedroom. , loft storage and is disabled adapted. This property is a terraced house. It is located in Welwyn Garden City in hertfordshire and has 2 bedrooms. This property has a garden, loft storage and is disabled adapted. This property is a semi detached house. It is located in Hatfield in hertfordshire and has 4 bedrooms. This property has a garden, loft storage This property has a driveway for parking vehicles and it also has parking outside. This property is a flat. It is located in Welwyn Garden City in hertfordshire and has 1 bedroom. , loft storage and it also has parking outside.